Mexican women do lots of stuff better than Gringas. Embroidery is one. My child bride has been working on this apron that she will wear on patriotic days. 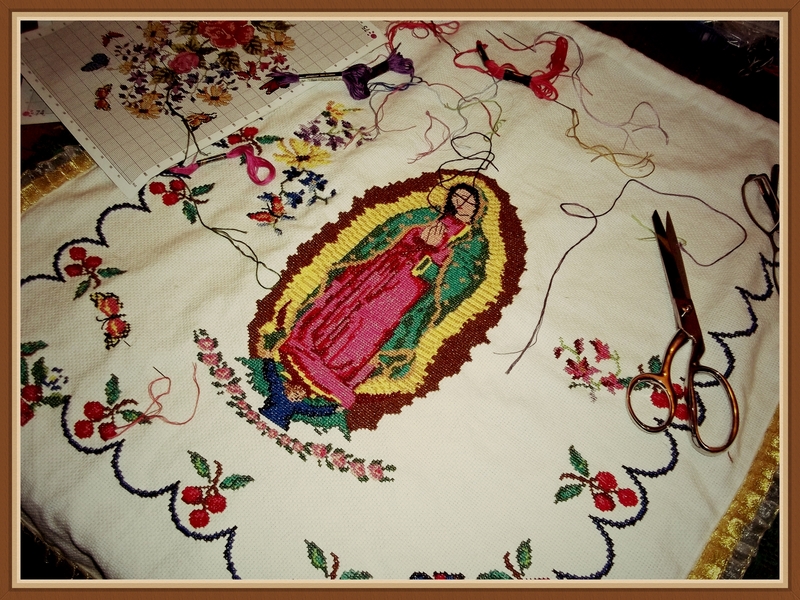 The centerpiece is Our Lady of Guadalupe, the patron saint of Mexico. She’s been sewing it off and on for months in her spare moments between making pastries, gossiping with her sister, helping our nephew with his homework (something his mother should do but won’t), dust-mopping, exercising, and smiling at me. She has also knitted a couple of wool sweaters for me, which is good because it will be cold here real soon. I can feel it in my bones.